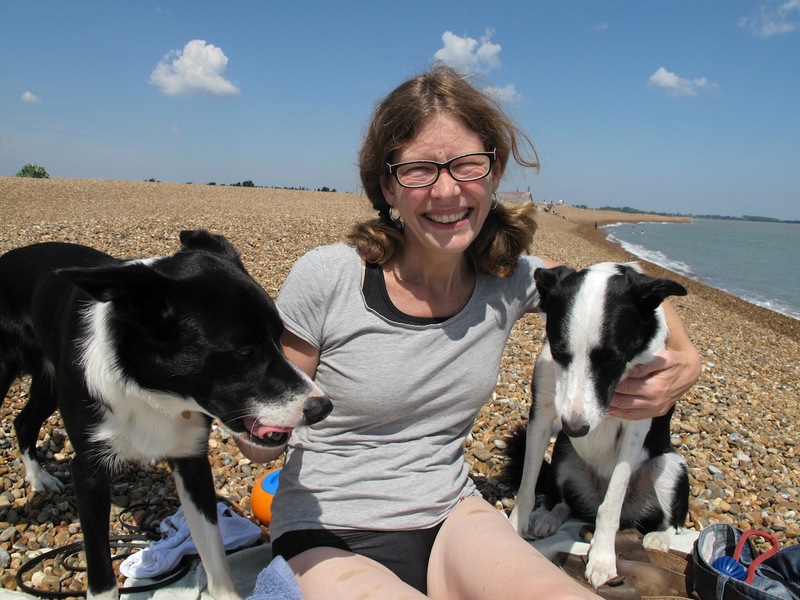 Yesterday we sloped off work for an hour to go to our local beach – Shingle Street. It was a gloriously hot day with little wind so the beach was busy – well by our standards. There were about 5 small groups of people on the beach so it wasn’t really crowded, but we usually find oursleves on the beach alone or with just one or two other people. We didn’t have long to sit around as I had to head off to Bee Club – I think we may have chalk brood in one hive and in the other the bees are not capping the brood – more on that later. 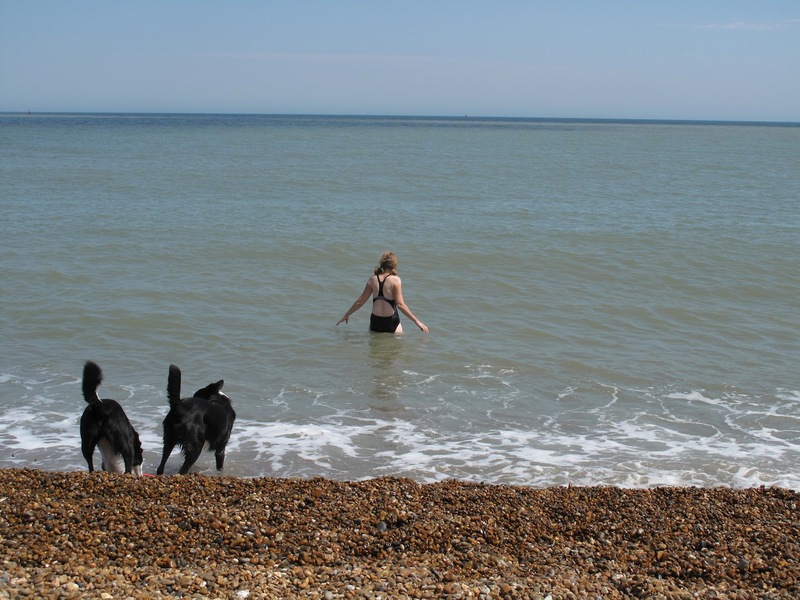 Anyway, my mission was to swim – first swim of the year. 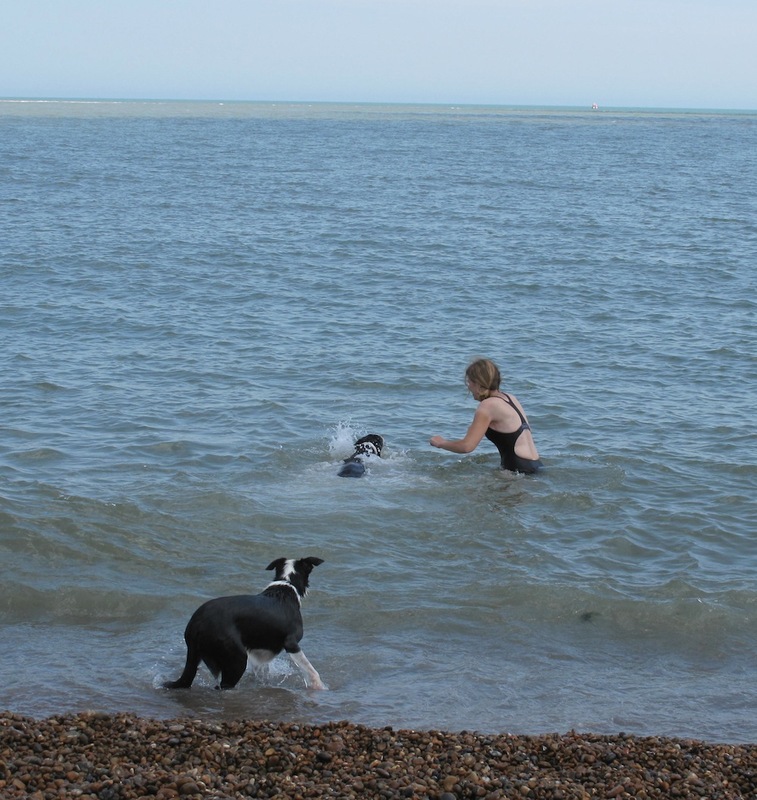 I love swimming, but the north sea is rather cold and to be honest I am really nesh (my dad taught me this word and it totally sums me up – I am unusually susceptible to the cold) so getting in the water involves a lot of shrieking and waving of arms. I wanted to teach Kai to swim. We took him in the water at Shingle Street at the end of last summer when he was still a puppy, but we haven’t been back in the water, apart from splashing about in Cornwall and crossing over to the shingle islands at low tide. 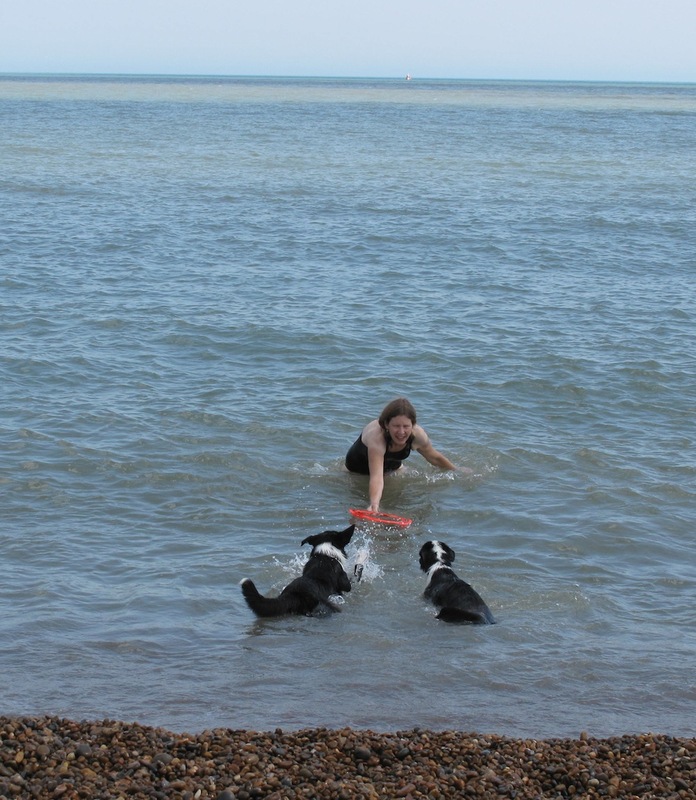 I lured them in with a frisbee. 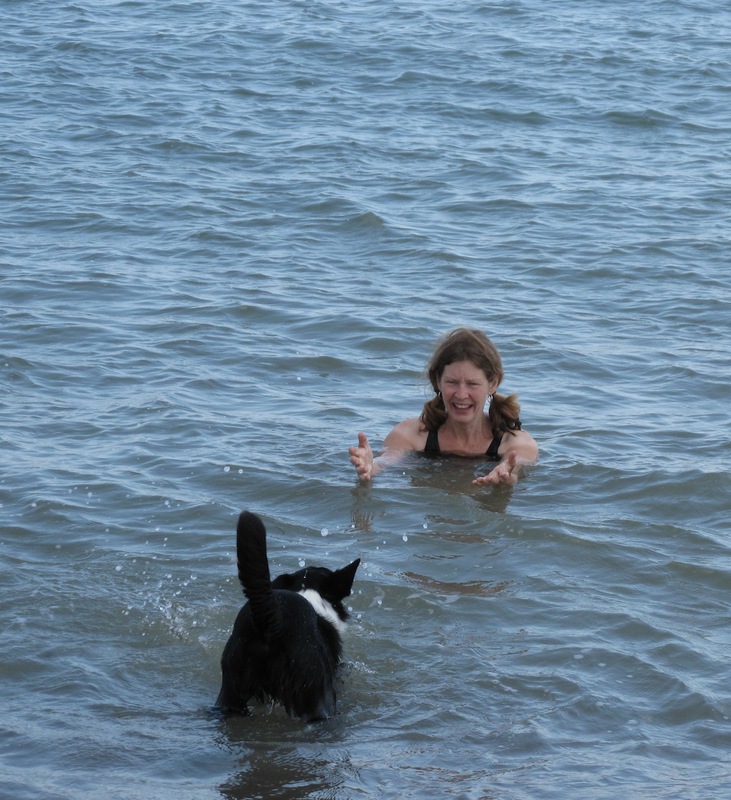 Daisy is reluctant to go in the sea, but will come in to get her precious frisbee. 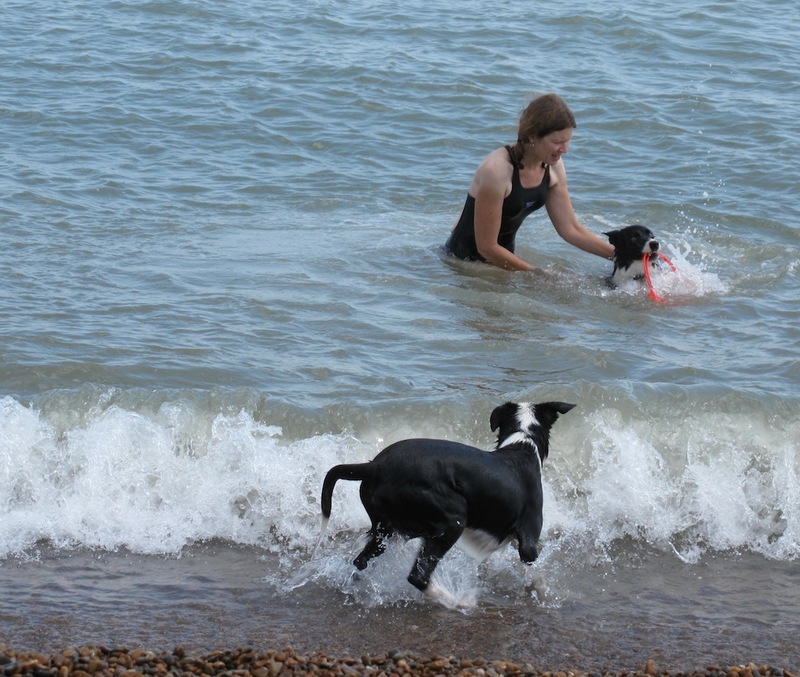 Kai seemed to pick up on Daisy’s wariness, but eventually came in and swam around. James didn’t swim as he does like to swim i the sea – he guarded our stuff and took pictures! Kai with frisbee just before he dropped it and it was lost forever! Omg so lovely. 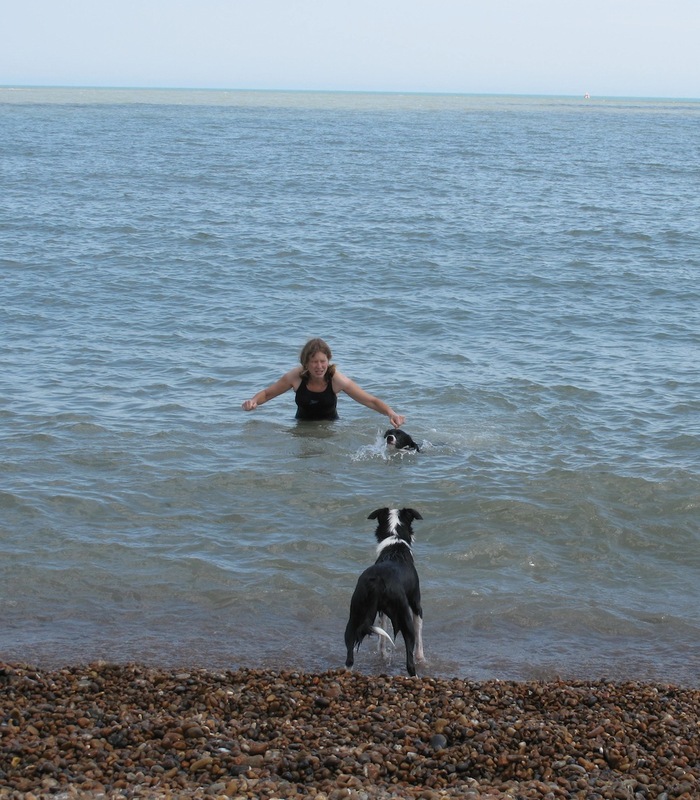 And so fun to see the dogs swimming with you. I’m of course sitting here imagining the water warm as it makes for a more satisfying sensate experience. Not much for cold water myself. Thanks for sharing your outing. Glad to see you all out at the beach. Makes me smile. Hope your bee issues are simply resolved. Good luck. I know – how brave am I? Actually it was pretty hot here on Saturday. Really looking forward to seeing you as well – the fizzy is chilling! I hope that Daisy gets a new Frisbee! 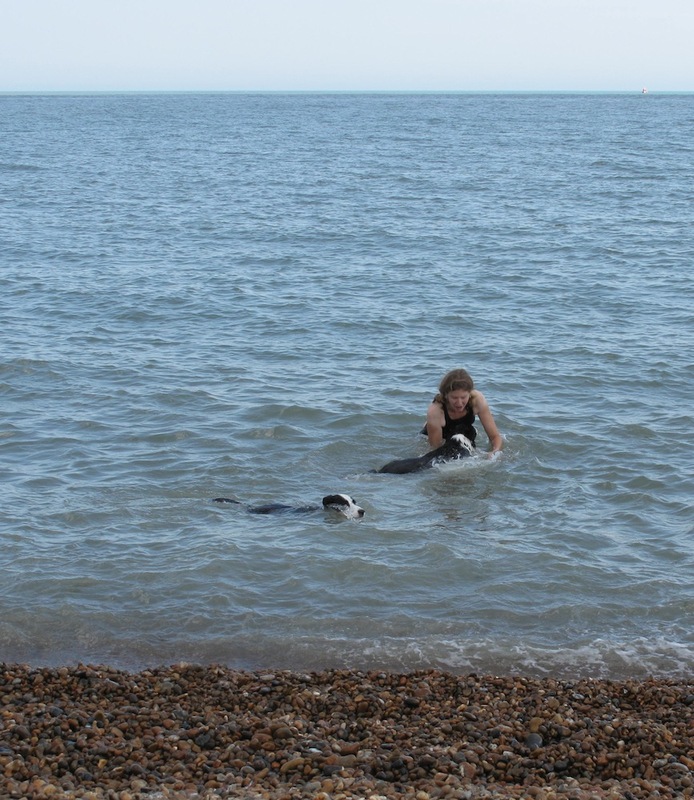 I’m with James on the sea-swimming thing – who knows what’s lurking down there!! 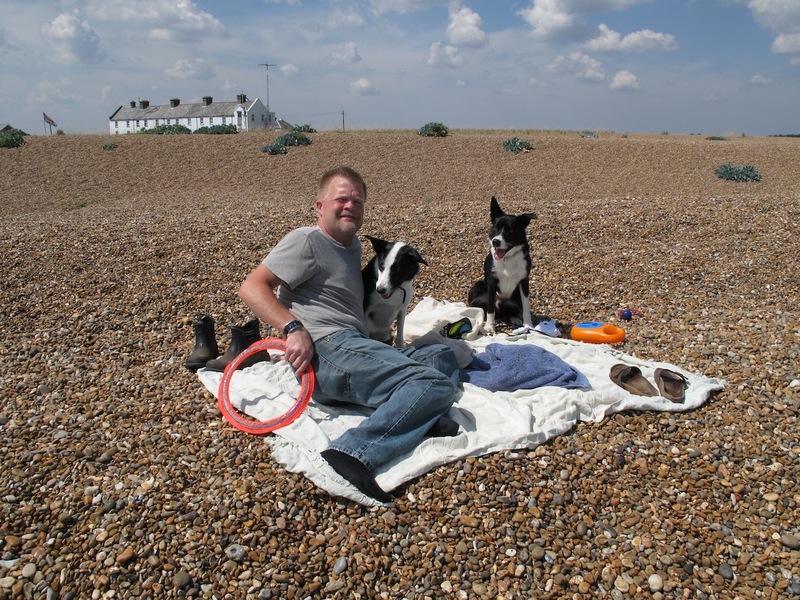 Daisy has a stash of frisbees – we always take the old ones to the sea in case disaster strikes. My main fear of swimming in the sea is my fear of imaginary sea-monsters. Actual sea creatures don’t bother me – well actual creatures that might live at the edge of the north sea don’t bother me – not sure I could swim where there are sea snakes, sharks, jelly fish etc etc – my problem is my over active imagination. If a bit of seaweed brushes against me I immediately assume it is a giant squid or jelly fish coming specifically to get me! Absolutely – and up here there are the legendary Kelpies and Silkies to contend with!!!! When I was in the Brownies I was a Kelpie – I still don’t know what they are!